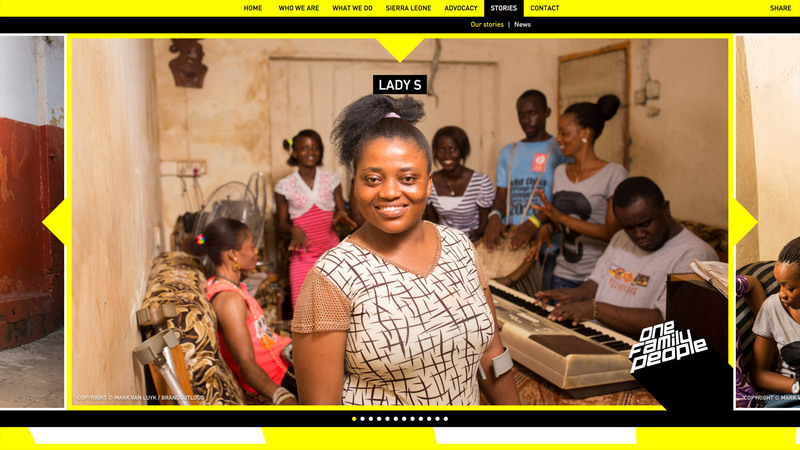 Development of the website of One Family People for BrandOutLoud by converting their design into webpages and web-optimised images. 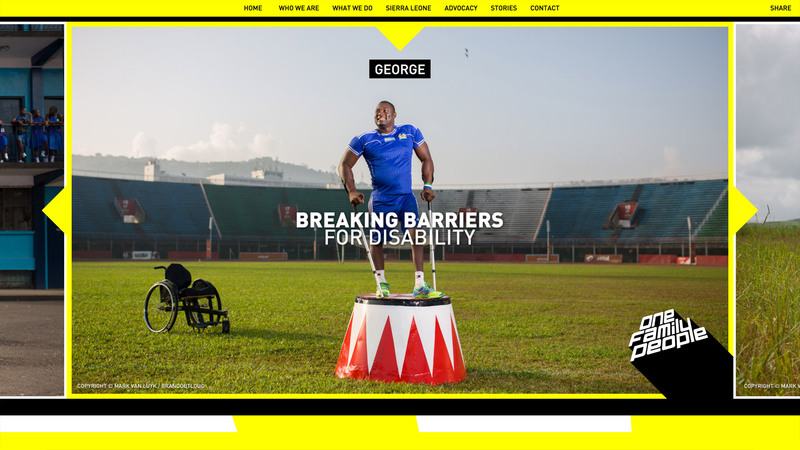 The biggest challenges were the large image carousel with stunning pictures of persons with disabilities and the adoptation to smartphones and tablets with their different screen sizes (responsive design). 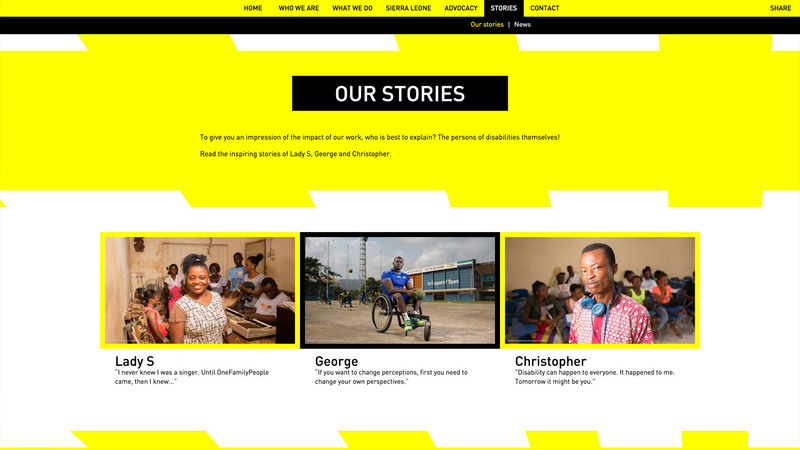 The website tells the stories of persons with disabilities who One Family People wants to include in everything so they can live a normal live. The site can easily be edited and managed with Create Sites, our content management system.